Nicole Reynolds I just need to let you know that you can give me the biggest book hangover and pull me right out of one from another author. 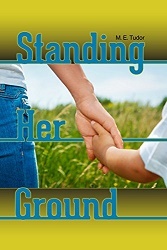 I read Standing Her Ground yesterday and to my surprise I’m in another hangover. I’m about to just go in blind to one of your books because I have yet to be disappointed. Thank you for being an amazing writer. It’s been a pleasure to share this group with you..